This course is aimed at anyone who is required to operate compact cranes with little or no compact crane experience. Good hand/eye co-ordination is essential. No previous experience required. However, good hand/eye co-ordination is essential. These 3 day courses are suitable for crane operators who are experienced in operating other types of cranes such as Mobile Crane or general crane and lifting operations. The A66a course aims to provide candidates with the skills and understanding to safety operate a static crane i.e. Spider Crane. This course is for potential and existing operators who have received no formal instruction and those requiring refresher training. Loading & unloading procedures for machine transportation. 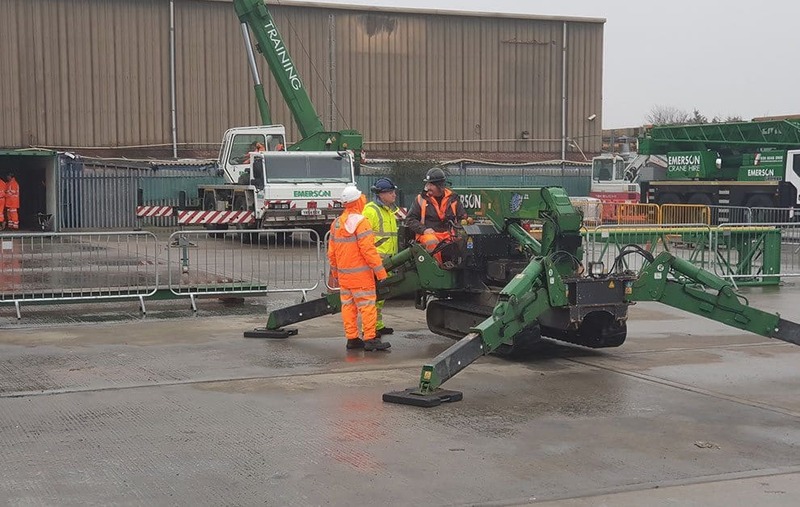 The A66 CPCS Compact / Mini Crane – 360 Pick and Carry training course will provide delegates with the essential knowledge required to operate A66 Compact 360 Pick and Carry Cranes safely. This A66 Compact Crane test and training course is suitable for anyone who wishes to operate A66 Compact 360 Pick and Carry Cranes on construction sites.